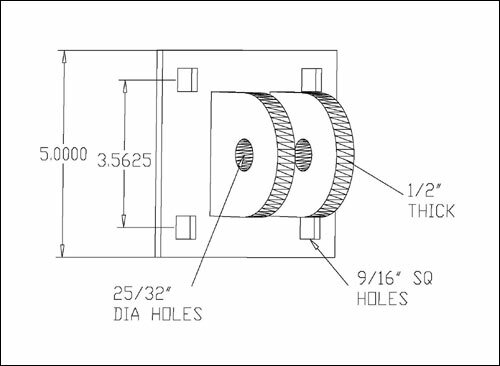 (H-SF) The Single "T" Female has two 5/8" tabs with holes for a 3/4" Connector Pin (B-PIN) and is used with a Single "T" Male (H-SM) or Outside Corner Male (H-OCM). 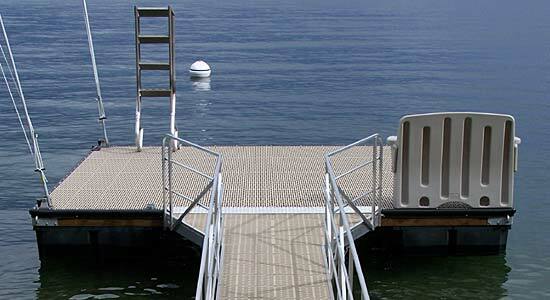 The male and female singles can both be used to make finger attachments by bolting them to the side of a dock. They can also be used to make ramps by bolting them to seawalls.